I always want to give my clients a big, sparkly, never-gonna-forget-this GRAND FINALE moment at the end of our shoot together. An epic kissing shot as the sun dips below the horizon, dancing on a mountaintop, a passionate embrace, just something to hit it out of the park and end on a good note. Like, you KNOW the Lion King wouldn't be as iconic without Simba reclaiming Pride Rock in the rain at the end. At this shoot, we got that. With rain! LIKE SIMBA. 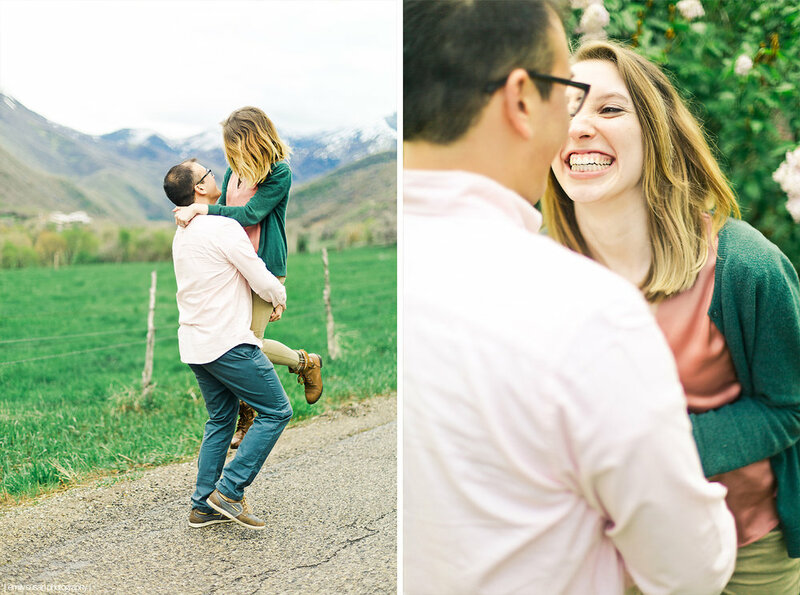 Before our shoot I explained that it would be "very green, but also probably raining" at our location for pictures, but Lauren gladly accepted... she grew up in the Pacific Northwest! Grey, overcast skies turned to showers as we walked around the mountains together for an hour in honor of Lauren and Brian's two-year-anniversary (that very next day!). On our drive back, it came down harder and harder and then the SUN POPPED OUT with rainbows and magic galore! 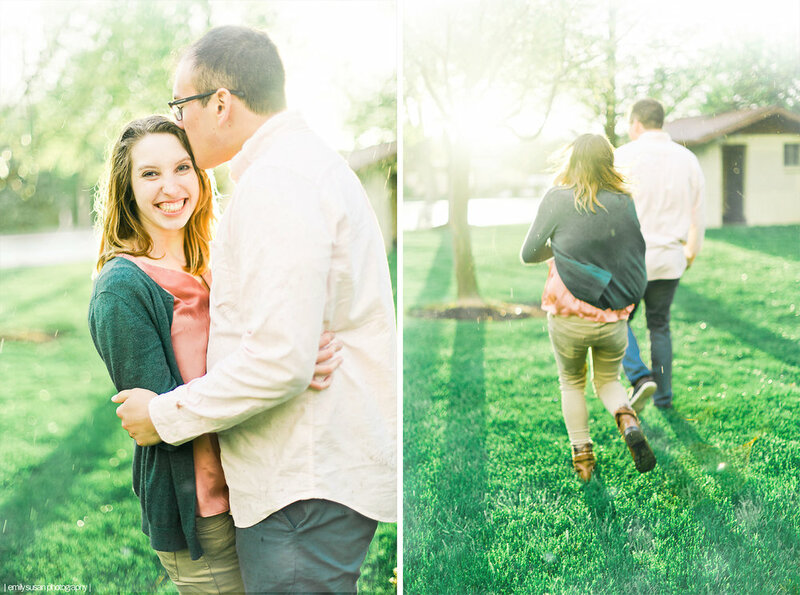 We veered off the road to get our true grand finale images in that sunshiney, rainy, green goodness! Scroll through their pictures and words below (that grand finale is saved for last!) (that is probably obvious and I shouldn't bother to explain that!) and then do yourself a favor and watch that Lion King scene again. "I love that she is not afraid to go out of her comfort zone when it comes to trying new foods or going new places. At the same time, she is constantly pushing me out of my comfort zone and we end up growing closer from it." "Marriage has made me into a much better person. I had to learn how to communicate effectively, be selfless, and how to love unconditionally." "My husband and I feel like we are in sync much more now. When we were first married we were still discovering things about each other and trying not to rock the boat. Now we are 100% comfortable saying or doing anything, and are often thinking similar things." "I have had people ask if the picture on my desk at work is the stock photo it came with." "Emily is fun! I particularly liked that she has you engage with your spouse more than the camera. It felt more like a full adventurous experience with my love than a photoshoot."